Bible Story: John 13:1-17. When the disciples show up to the meal with Jesus, their feet would have been dirty from walking the roads of Jerusalem. Jesus offered an incredible example of service by washing their feet! 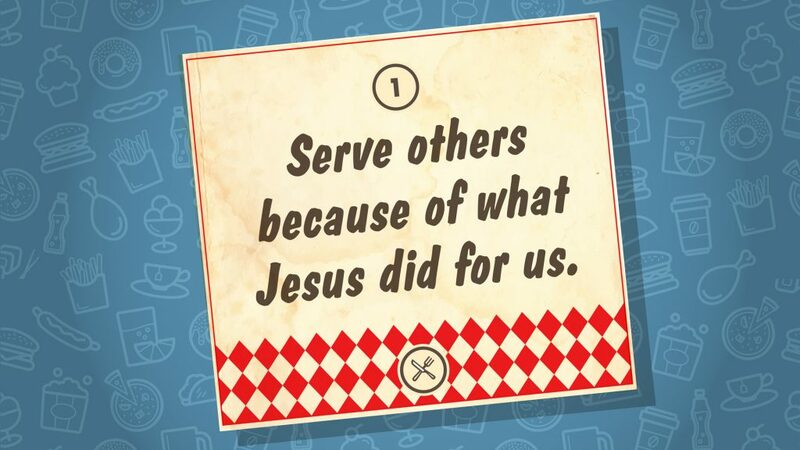 Bottom Line: Serve others because of what Jesus did for us. When we need that extra measure of strength to do what it takes to help others in need, we can remember all that Jesus did for us. We reflect His character when we serve the people around us. 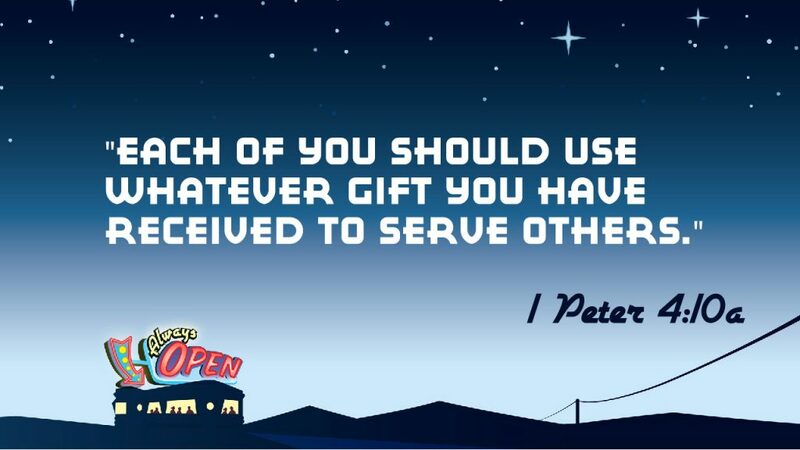 Key Question: Why should you serve others? Service often includes going above and beyond to help someone in need. It’s worth it to go out of your way to serve and help point others to Jesus.